While you may be tempted to sit your toddler in front of the tv and call that a fun activity as you catch a breather, it is a far cry from keeping your little one busy. There are fun and exciting ways to stimulate, challenge, and keep your toddler busy and out of your hair. Here are five easy ways to keep your toddler distracted and entertained. Playdough is a great way for your toddler to be creative. Whether it’s homemade dough or store bought jello playdough, your toddler squashing and rolling a piece of playdough can play on the senses and spark curiosity. The best thing about playdough is that it allows for your toddler to play “make pretend,” from monsters and aliens, craters, candy, cupcakes, pizzas, mom and dad, houses, to eyes. Provide a tray, playdough, and a comfortable space, and let your toddler’s imagination run wild. A puzzle doesn’t have to be a puzzle, or maybe you need it to be to keep your toddler busy. Either way, there are many easy and enjoyable puzzles that your toddler can do on his or her own. Getting chunky puzzles of stories, your toddler likes, alphabet shapes, and farm animals can keep your child excited and engaged. Puzzle boards can be 4, 6 or, 9 pieces. Be sure to build the puzzle and show how it makes a picture before allowing your toddler to go at it alone. One of the best toys for 2 year old boys are cars, and if you want to keep your toddler busy, create a race track on the floor using masking tape. If your boy doesn’t already have a little toy collection, buy him his favorite toy car, create a track in the hallway, then let him race his car or cars down the track, while you put your feet up. There are many colorful things out in nature that are a marvel for your toddler. 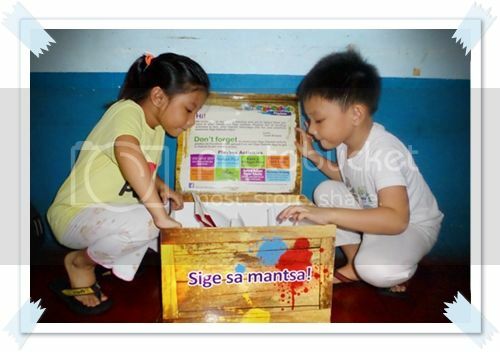 Creating a sensory nature bag gives your child something to explore. Fill a small bag with things like different leaves, grass, pine cones, and rocks, and let your toddler reach into the bag and discover each item. There are many easy and exciting ways to keep your toddler busy. Let your toddler get creative with playdough, solve chunky puzzles, sort shapes, race their fast car and explore nature in a bag. All the while, you catch a breather. When you’re looking for something to do with your children at home, you might be tempted to use construction paper, markers and other supplies to make crafts. You can also create gelatin art and other items using the colored powder. One of the things about using gelatin is that it often leaves a delightful smell if you use scented varieties, such as grape or strawberry. The gelatin that is used is the same that you would find in a store when you want to make Jello-O in a bowl or in molds. Using colored gelatin and condensed milk, you can create cubes that look like broken glass. Make each color that you want to use, and cut the finished product into small pieces that are then added to the condensed milk. When the mixture has set up, you can create blocks that look like they have broken pieces of glass inside. 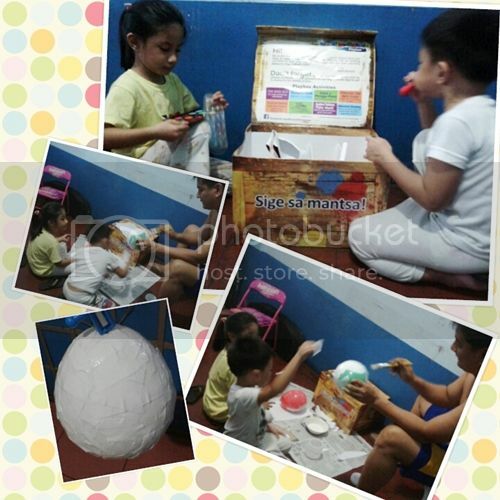 Another fun idea for children is to create a fish bowl. This is easy to do with blue gelatin and a few colored gummy fish. Make the blue Jell-O first, putting the liquid in a fish bowl before it sets. Add the fish before the mix has completely stiffened. Items that you can add on top are Nerds candies to look like rocks or gum drops to looks like decorations at the bottom of the bowl. A parfait is an idea for a warm day. Layer various colors of gelatin with softened cream cheese for a beautiful and delicious treat. You can always pour the mixture into molds to create fun shapes. Jelly pops can be made by pouring layers of gelatin into a cup before placing them in the freezer. This helps to get the Jell-O hard so that it can be held by a stick. There are a few crafts that you can make that aren’t edible. Draw a picture on a piece of sturdy paper. 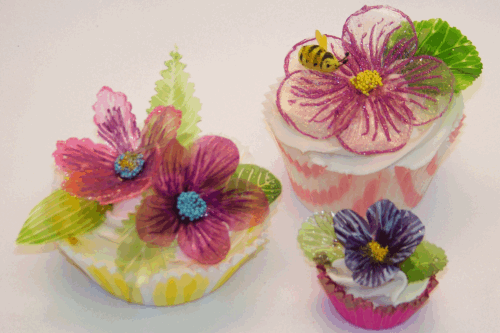 Instead of coloring with crayons or markers, use different colors of gelatin with a Q-Tip. When you are finished, the picture will have bright colors and the smell of the powders that you use. 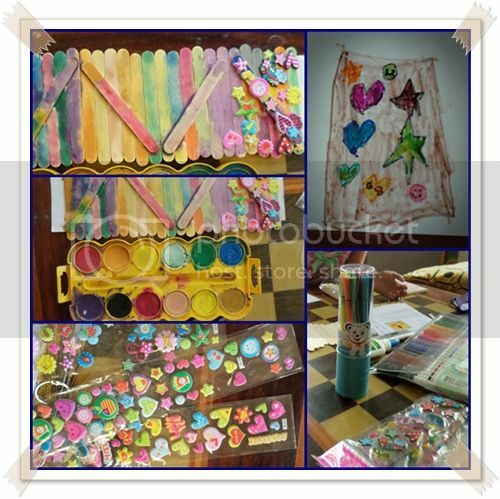 Craft projects are a fun and easy way to keep children entertained during the school holidays. Younger children are easily pleased with simple craft projects such as card making or playdough, but older kids and teenagers require something a little more challenging. Getting older children interested in crafts is a worthwhile endeavour as they can create useful items for the home or beautiful keepsakes that the whole family can enjoy. The following projects are ideal for teenagers and require little more than a digital printer, photo paper and some creativity. 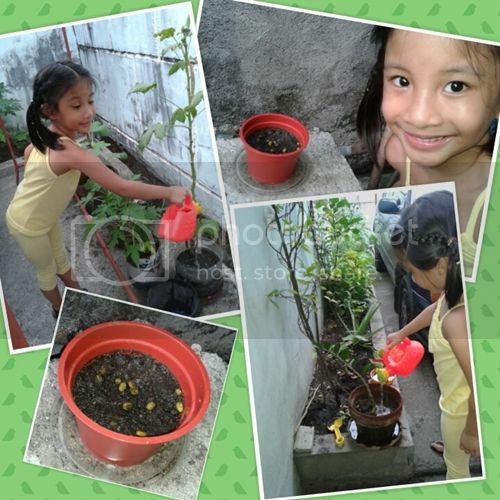 A personalized calendar is a fantastic project for an older child as it gives them the opportunity to try out their photography skills at the same time. Start by asking your teenager to take 12 photographs to use for your calendar or you can choose images online. Most word programs offer a free calendar template or you can use an online calendar creator. Once you have formatted your calendar, you can print it out using a digital photo printer. For a more professional result, use high quality ink cartridges such as those available from Stinky Ink. Board games are a fun pastime for all ages, and creating them at home allows you to really use your imagination. You can download board game templates online complete with illustrations and game rules and print them out at home. If you are feeling really adventurous, then you can have a go at creating one from scratch and include trivia questions that are related to a subject your teenager is interested in. Making your own book may sound like a huge task, but you do not need to print an entire novel. Ask members of your family to write short stories, poems, songs or even add drawings and illustrations. You can ask your teenager to organize all the material together in a scrapbook and print out any corresponding photographs or images to make your book even more special. Printing an image onto wood is a wonderful way to display your most treasured photographs and would make an ideal gift for friends and family. Start by selecting a clear photograph that does not have too much clutter in the background or shadows. Trim a piece of baking paper to A4 size and load it into your printer so that the image prints on the shiny side. Print your photo onto the baking paper, and then immediately press the paper onto the wood with the image facing down. Slowly peel off the paper, taking care not to smudge the ink. Protect your image from fading with a spray of clear sealer. Getting your children interested in crafts from an early age is a great way to help them save money and express their creativity. Digital photo printers are a great tool for those wishing to create personalised gifts, and you can purchase them relatively cheaply if you are prepared to shop around online. This article was written by John Sollars. He is a business owner of many years. When he gets the time, he likes to sit down and share what has worked for him. Look for his informative posts on a number of websites and blogs today. It’s Saturday! 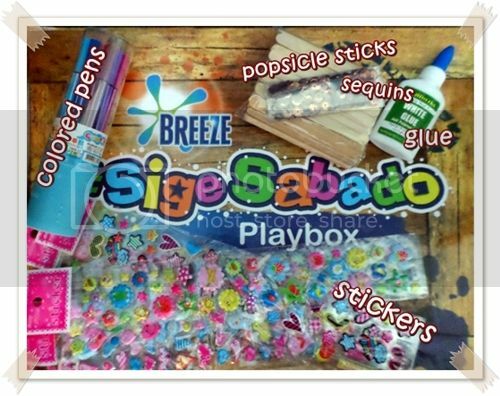 Have a #SigeSabado #SigeSaMantsa day with your bulilits with this fun craft idea. 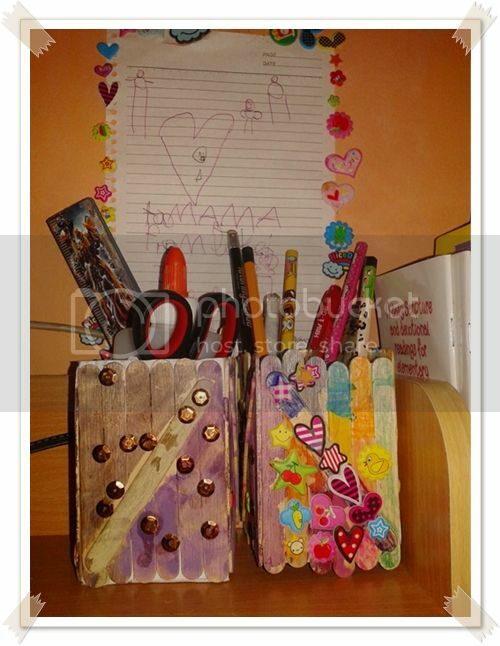 Got a pack of popsicle sticks in your kid’s craft box? Whip them out with some paint, glue, paper, and stickers for hours of fun. Doll house, toy plane, trinket box, picture frame… you’ll never run out of things to do with popsicle sticks! Make something useful and turn them into a pen holder just like we did. The first thing you need to do is measure the size of the penholder you want to make and count the number of sticks you’ll need. Instead of gluing the sticks side by side, we cut a strip of paper and glued the sticks on it. The kids glued 24 sticks so when we folded it into a rectangular prism, it had 6 sticks on each side. 4 more popsicle sticks were glued diagonally to reinforce the paper. You can use any scrap paper for this since this will be hidden inside the pen holder. 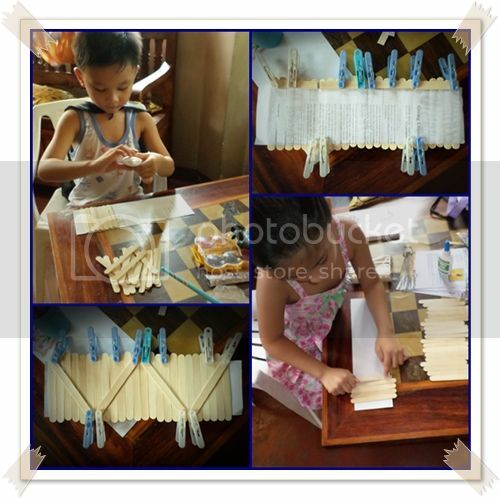 To make sure that the sticks are glued well together, we clipped them with pegs until the glue was dry. Once the glue is completely dry, decorate the sticks. 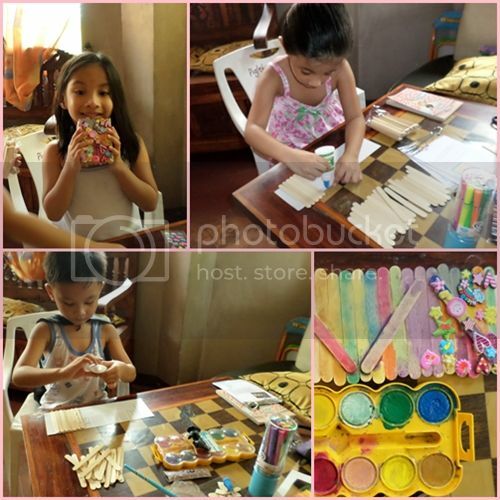 The kids decorated the entire length of sticks using colored pens, watercolour, stickers, and sequins. While waiting for the paint to dry, make the bottom part of the holder using left over popsicle sticks. Again, we used paper and left an extra inch around the perimeter so we can glue it to the inside part of the pen holder. With the paint all dry and the bottom ready, we assembled their penholders using glue and pegs to hold them together until the glue dried up. Creating a penholder is just one of the dozen things you can do with just a single pack of popsicle sticks. It doesn’t cost much either. You can get a pack of 100 for just under 50 pesos. Care to share your craft ideas using these versatile sticks? We’d love to hear about them so please do share away in the comment section below.